It’s Fri-YAY! Time to kick back, relax, and browse through my Friday Favorites. But first, how was your week? It’s been Spring Break for us, which was awesome. It’s just so nice to take a hiatus from the normal every day schedule and there’s nothing I love more than being with my kiddos. My favorite kind of day is when we have absolutely nothing planned, just hanging out at the house. No place to be, no obligations. Nada. It doesn’t seem to happen as often as I would like, but we did get a bit of that this week which that was really nice. But dang, it always goes way too fast. I hate how that happens. Anyway, I hope you’ve all had a good week too and you’re ready for a little Friday Favorites fun today. I’m sharing something new I recently discovered, a favorite recipe, and a few things that I’ve loved for a really long time now. Confession time: I’m a sucker for a good candle. There are few things I love more in this world than a yummy smelling candle. There’s just something so calming about having a candle burning. I know it’s just a small thing, but I feel like it adds so much warmth and coziness, right? 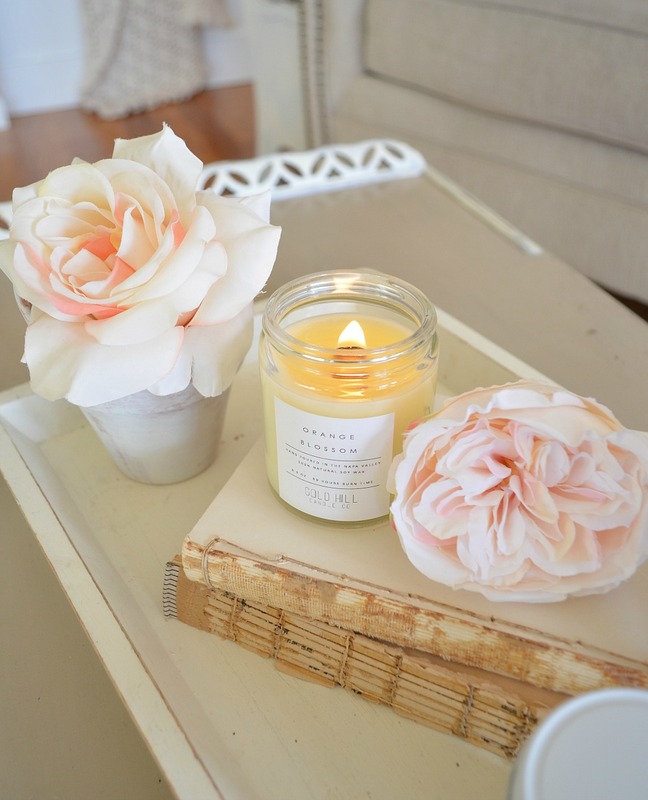 Well I recently found these natural soy candles from the Gold Hill Candle Company and I instantly fell in love. These actually have a wood wick, so they make that awesome crackle noise when you burn them. Have you ever tried one of those? They’re so cool. You can order these in a monthly subscription, so I got the spring box–which includes Lavender Field and Orange Blossom. They are both ammmmmmmazaaaaaing, but I love, love, love the Orange Blossom scent. It’s a subtle sweet smell, but it’s so light and fresh. It makes the whole room smell like spring heaven. I’m obsessed. 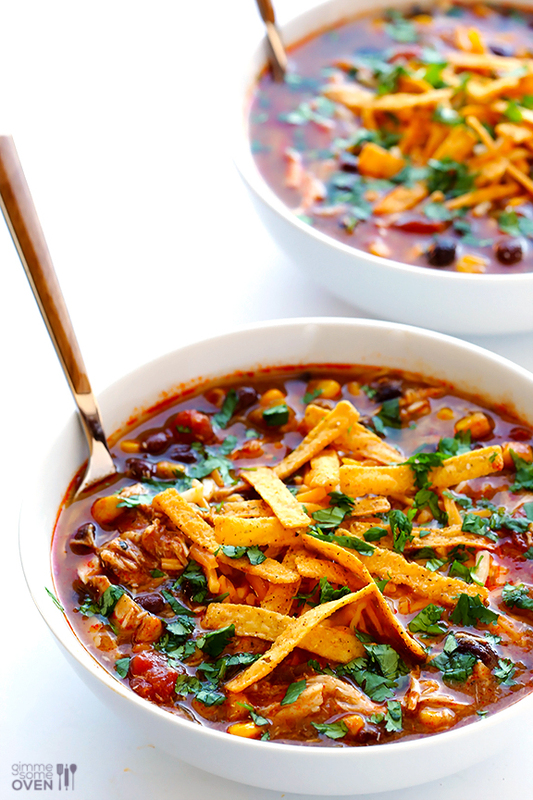 You guys, this recipe for slow cooker Chicken Enchilada Soup from Gimme Some Oven is one of my absolute favorite meals in the entire world. I found this recipe several months ago and it’s been in our rotation every since. It’s insanely good and it only takes 10 minutes to prep in the crockpot. Doesn’t get much easier than that, folks. I love it. My husband loves it. Plus it makes the best leftovers. You must make this, pronto. And be sure to check out my Pinterest board “Crockpot for Life” if you’re obsessed with crockpot meals like me. I don’t think I’ve ever shared my obsession with leather cuffs here on the blog. I’ve mentioned it a time or two on Instagram, but I don’t think it’s ever come up here. It all started after my Grandpa passed away a few years ago. 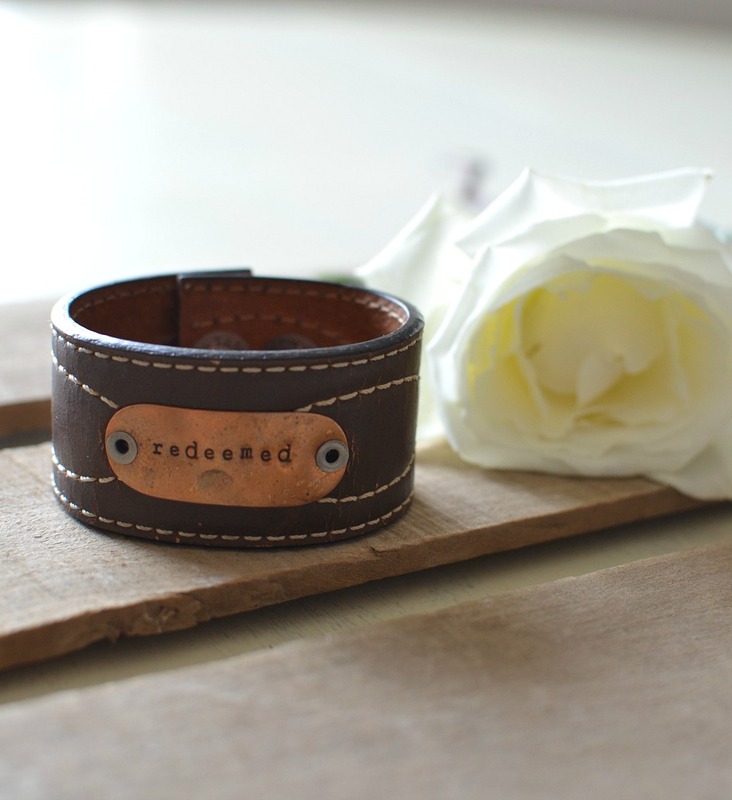 It had been a couple months since he had been gone and my mom gave me this amazing leather cuff with the word “Redeemed” printed on it. I instantly loved it. But then she told me the good part. This leather cuff was actually made from my sweet Grandpa’s belt. The belt he had worn every day and the one I could recognize from a mile away. Of course I burst into tears because I had no idea such a beautiful thing could ever come from an old farmer’s belt. My cuff was made by Becky, an amazing woman who runs the Farmgirl Paints Etsy shop. 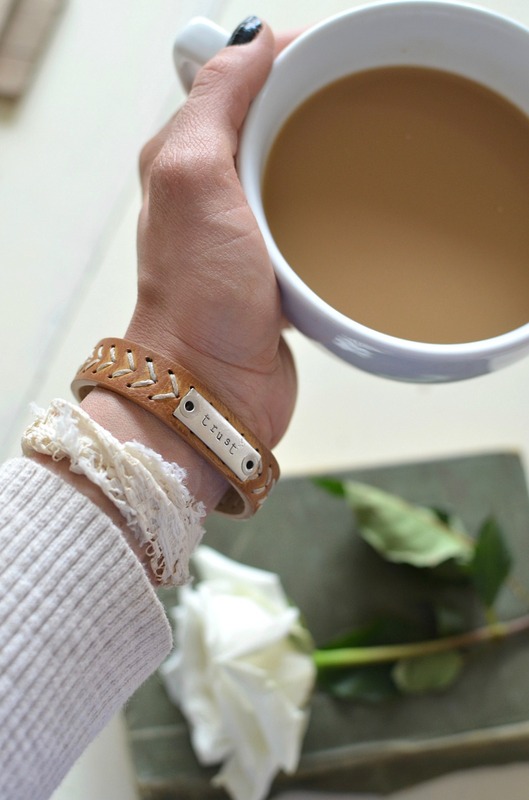 She has tons and tons of leather cuff options (you don’t need to a belt!) and each one is gorgeous in it’s own way, plus you can choose what you want it to say. I love simple, vintage inspired jewelry so these are just perfect if you ask me. I now have a collection of 3 leather cuffs from Becky’s shop and you can find me wearing any of these almost every day of the week. I love, love, love them. The First 5 devotion has become my go-to daily dose of encouragement on my phone. Have you guys heard of this app? 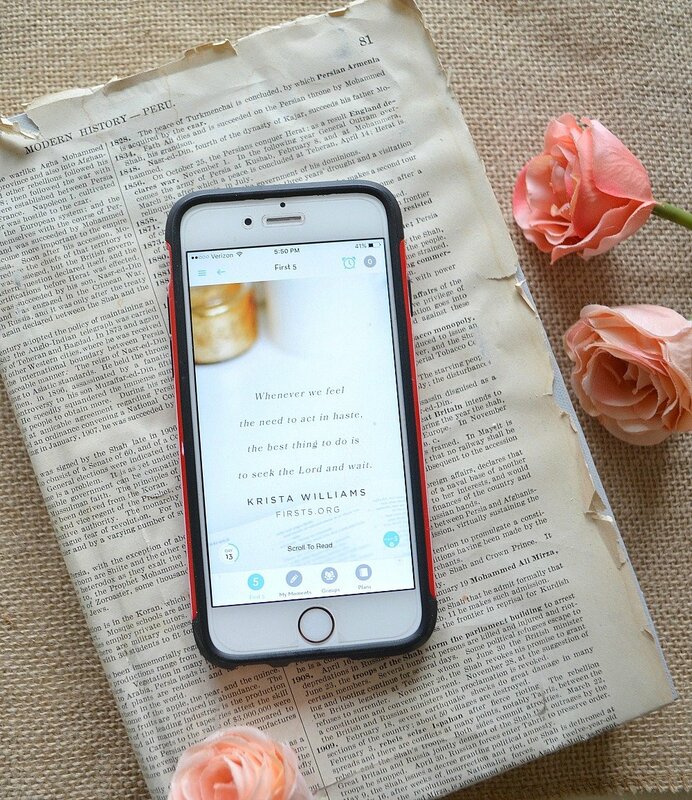 The idea is to read through the devotion during the first 5 minutes of your day. Each lesson is pretty short, usually no more than 4-5 paragraphs, but I always find it easy to apply the teachings to my every day life. I’ve been using it for about a year now and I really enjoy it. If you’re looking for a good daily devotion on your phone, I’d definitely check out this one. Plus it’s free, so that’s always a win. Have you guys ever heard of a daily memory book? It’s basically where you write done one or two memories each day and you do this for five years. Well since 2013 I’ve been using the Five Year Memory Book to keep track of little moments from each day. (thanks to my sister-in-law for giving this to me!) Now, I’ll be honest with you guys, I don’t use it every day and there have been periods of time where I completely forget about it for months on end–oops! But I always track it down and start back up again. I recently started using it again after a bit of a hiatus and I was reminded why I love this little book so much. 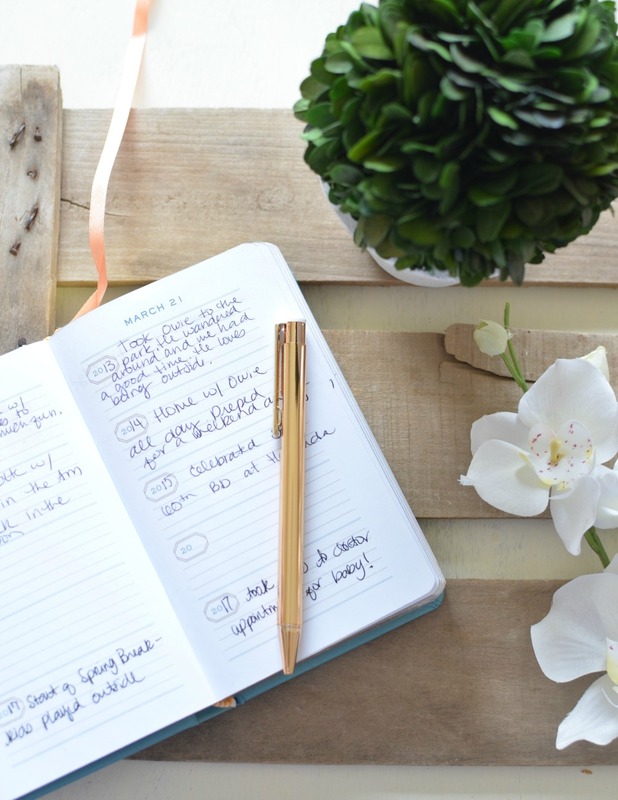 This is such an easy way to keep track of more memories each day. I like keeping it by my bed so I can jot down a few things before going to sleep each night. I started mine in 2013, so it’s awesome to look back and see what we were doing on this day 2, 3 or even 4 years ago. I actually started this around the time my son was two years old, so it’s fun to read back through sweet moments that I would have otherwise forgotten. It’s also amazing to see how how much has changed over the past few years. I just love this little book. You can find it on Amazon and it’s super cheap. Makes a great gift too! Well that’s it for me today. I’m off to enjoy more Spring Break shenanigans. I can’t believe it’s already almost over, it seems like these weeks always zoom by. Anyway, I hope you all enjoyed today’s Friday Favorites. I really enjoy writing these posts and sharing a bit more about myself and things I love outside of decor and DIY projects. Plus I think it’s a fun way to end the week. Let me know what you think of my favorites today and don’t hesitate if you have any questions. I always love chatting with you guys! Have a great weekend!! Thank you Kim, you are the sweetest! I downloaded the First 5 app, I love it !! Thank You so much for adding it to your blog. Love your blog, very inspirational . Oh yay!! So glad you got the app and love it. It’s the perfect way to start your day. Enjoy it and thanks for stopping by Robin! I love the 5 year memory book! I’ve tried to keep a journal for years but I always wind up forgetting about it for months on end or make excuses not to write in it (too tired, nothing really happened today, etc.). I think condensing it down to a few short lines a day would make it easier to keep up with. And thank you for sharing the candles! My late mom’s favorite scent was orange blossoms, so I might have to give that one a try. Just wanted to say how much I enjoy your blog. Can’t wait to ‘check in’ regularly! So much inspiration, tips and living life. We’re several years apart in where we are in life, but I find there is still a lot of familiarity and basics. 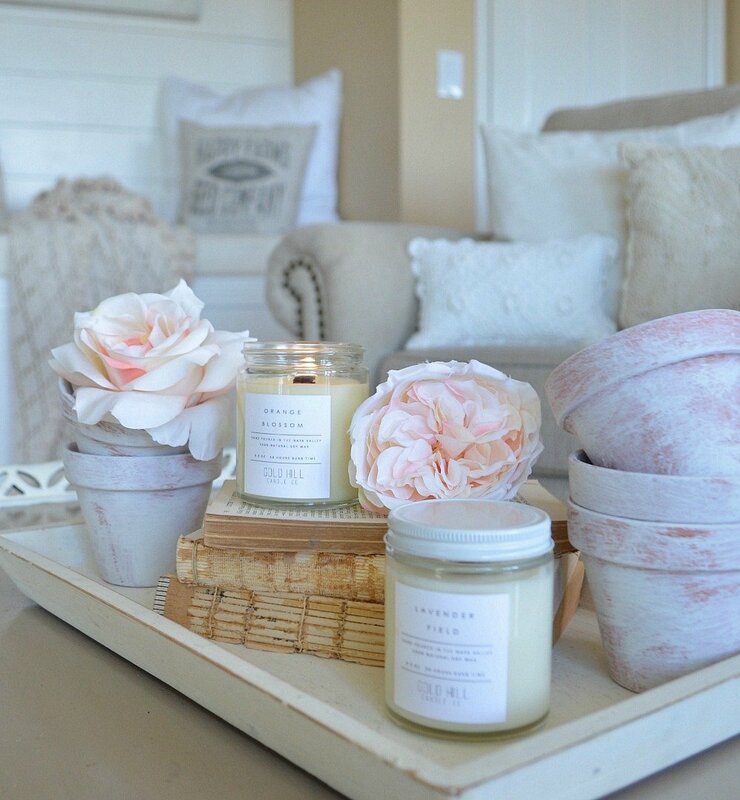 Love the farmhouse décor – I’m working in that direction in my own home. I especially like your Friday Favorites – I always check out those things that I like in common. As a matter of fact, I just ordered & have received a custom pillow from CoverLove as a result of one of your blogs. Love it! Keep up the good work! Bonnie, thank you so much for your sweet words! I can’t tell you ho much I appreciate it. I’m so grateful to have you here everyday! And so happy to hear you got yourself a new pillow from CoverLove. I’m sure you will LOVE it! Oh no Helen, I’m sorry to hear about your migraine. I get those every now and then–so awful! They definitely lay you out for a while. I hope you are feeling better now and don’t get another one for a looooong time! Love the idea of the memory book! My daughter just gave us our first granddaughter in October. I think I’ll start one of these with memories made with her that way when she’s older, she can look back at know what a joy she was! Oh yes Jeanette, it’s the perfect time to start a memory book with new little grand-daughter. You will love looking back on those little memories one day! Thank you Diane, so glad to have you here! That sounds like an awesome journal Brenda, I’m going to look it up. Thanks for the tip!! That’s a great idea, I’m sure your daughters would love it. Also makes a good Mother’s Day gift. I really love mine. 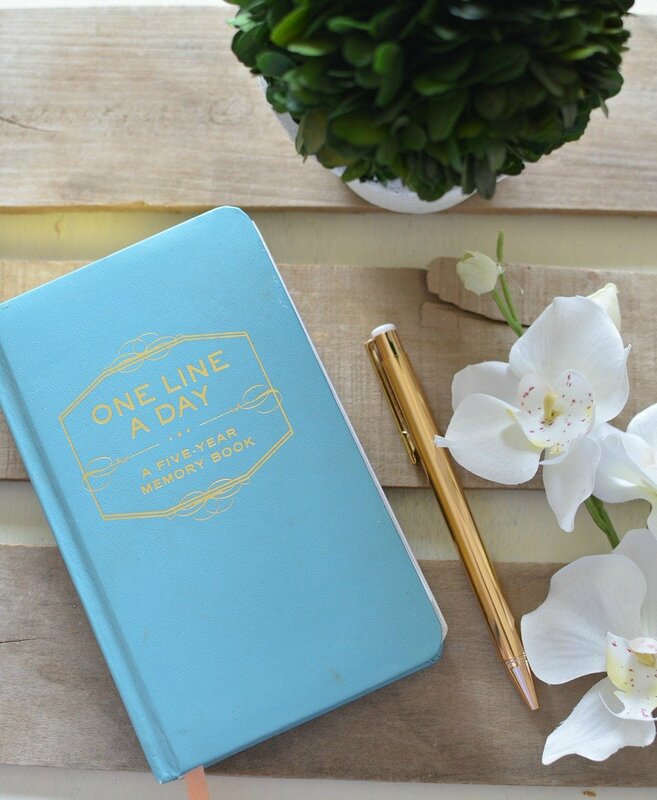 Just an easy way to keep track of little memories every day.Thanks for stopping by Julie! Love this and im so making that soup , i already printed out the recipe as I know ill continue to use it . I have to say I do agree with all the comments here , I love your blog too and always look forward to seeing what you posted .. I don,t always comment but I always want to lol!! Thanks for being so dedicated , you make a lot of people happy , its so enjoyable to us. I really appreciate that Teresa, thank you so much for the kind words. Soooo happy to have you here everyday! Love everything..wondering about the milk and cream picture?